There are many reasons why your baby might be waking up in the night. He/she could be hungry, need some comforting, or need a better and more consistent routine before bed. Different developmental milestones, such as teething, could be causing the baby to wake too. After you’ve moved on from the why won’t the baby sleep through the night question and frustration, it’s time to find out ways that you could help them sleep through the night. A baby who doesn’t sleep through the night can disrupt the parent’s sleep routines, and lack of sleep can make anyone cranky, prone to frustration, and upset at lack of progress. Take a deep breath, a step back and give these tips a try to get back to sleeping normally, for everyone. Often, this is cited as the number one source of nighttime waking. While it is important to note if your baby is actually hungry, which can depend on his food sources throughout the day and how they metabolizes at night, many babies will settle into the eating every few hours routine even when it isn’t necessary. If you are still nursing, this is both food and comfort for the baby. If you are trying to move away from nighttime feedings in favor of sleep, try sending someone else in to discern if the wake is food related. Typically, after your infant has reached eleven pounds (or about 1.5-2x their birth weight), they metabolically do not need to nurse or receive a bottle every few hours. You can also employ more food sources during the day to help keep baby full. Just as most of us who are older don’t need food during the night because we eat plenty during the day, neither do many infants. Keeping food time during the day lively and exciting, while keeping any nighttime or close to bedtime feedings calm and quiet will also help with expectation. This can be one of the more difficult aspects of parenting, as it is completely natural not to want to let your baby be unhappy. However, self-soothing is an incredibly important tool, and you can begin teaching it as early as six weeks. Giving your baby the opportunity to fall back asleep on their own is a great place to start. As early on as six weeks, your baby’s natural circadian rhythms begin to develop to help them differentiate between day and night. Try not to immediately to rush in if they wake at night. Utilizing the incredibly advanced baby monitors available on the market can help you see if the baby is in distress, or if they’ve woken due to the end and start of another sleep cycle. When it is bedtime, putting them down on their back when they’re drowsy, but still awake, can help make the transition to sleep better. Your baby is also less likely to wake startled and call out for you this way. While rocking and nursing to sleep is a beautiful moment to enjoy as a parent, the sudden difference of being alone and not with you can be scary, if your baby wakes. A simple and sweet bedtime routine, beginning about the age of three months, will help with the baby sleeping through the night. Just as removing the television and utilizing quiet time activities helps you fall asleep, finding age-appropriate bedtime activities and organizing them into a routine can help establish a solid sleeping period through the night. Giving a bath, putting on jammies, and reading a book or singing a lullaby are tried and tested methods. Be warned, however, that these can have the opposite effect for some babies. Bathtime may help them wake up, as a shower could do for you. As you finish settling, tucking baby into their sleeping space is important. Even if your baby has moved to a crib, or you started with one right away, your baby may not be ready for this kind of milestone. 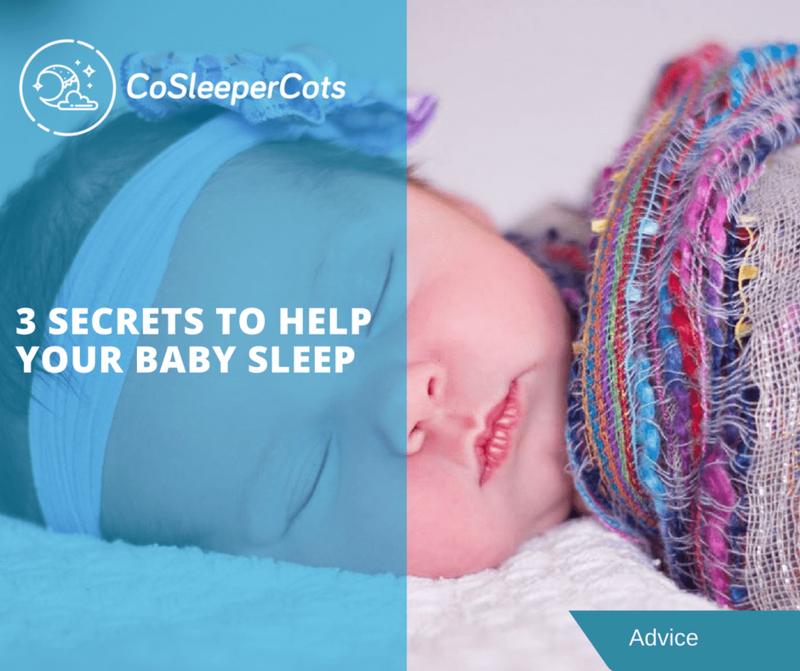 If your baby is still needing to sleep by you for reassurance through the night, check out our website to learn more information and tips about all things baby and co sleeping. 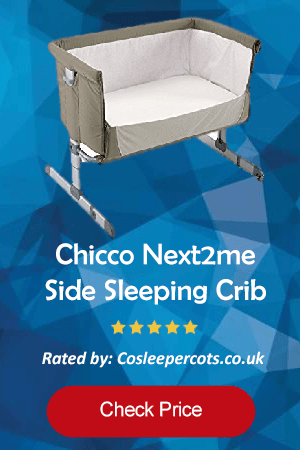 You may even be able to find a co-sleeping cot for helping the baby sleep through the night can save you much headache. Even if the crib has been working for awhile, pulling out the co-sleeping option if your baby has regressed can help everyone get some much-needed snoozing. Copyright text 2018 by Cosleepercots. Cosleepercots.co.uk participates in the Amazon Services LLC Associates Program, an affiliate advertising program designed to provide a means for sites to earn advertising fees by advertising and linking to Amazon.com. Amazon and the Amazon logo are trademarks of Amazon.com, Inc. or its affiliates.